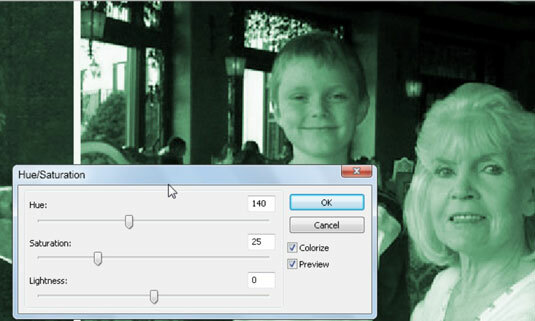 Filters offer you many opportunities to edit your images in Adobe Fireworks CS6. You can choose to blur an image or adjust its colors by using the Curves or Hue Adjustment layer. To access your filters, you can choose them from the Filters menu or choose Window→Others→Image Editing. If you want to apply additional filters that you can change later or even delete, click the Add Filters button in the Properties panel and select Photoshop Live Effects from the drop-down list. 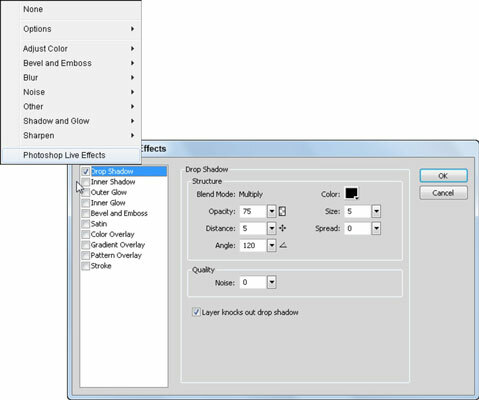 The Photoshop Live Effects dialog box appears. Open an image and select it with the Pointer tool. Click the Add Filter button in the Properties panel. Choose Adjust Color and then Hue/Saturation. The Hue/Saturation dialog box appears. Select the Colorize check box to apply a color tint. Adjust the Hue slider until you find a color you want and click OK. In the Filters list in the Properties panel double-click the listed filter to edit it. The Hue/Saturation Filter dialog box opens, where you can make changes to the filter. Delete a filter by selecting it from the filter list and clicking the minus icon (–) located on top of the filter list.